A double contingency exists when a buyer makes an offer on a home (“Home A”) contingent upon the sale of the buyer’s own home (“Home B”), and when another buyer makes an offer on Home B contingent on the sale of their home (“Home C”). Would a seller be willing to sign an offer with a double contingency? That depends on the strength of the other two offers. In a recent transaction I handled with a double contingency, Home B had already passed all the due diligence inspections and an appraisal came in satisfactorily. The offer on Home C was also a clean offer with the main contingency being approval of the buyer’s loan, and we had a pre-approval letter on that buyer. So this double contingency still made a strong offer for the seller of Home A. Almost every offer on a home has at least one contingency, such as financing, the home inspection, the well inspection, and the septic inspection. An additional contingency, such as the sale of the buyer’s home, complicates a transaction. A double contingency increases the probability of failure when you have two transactions that must successfully close in order for the final home (Home A) to close. A double contingency must be done precisely, and all three transactions have to line up like dominoes to close one after the other. And the Realtors need exemplary knowledge of the correct addendums, the correct contract language, and how to facilitate every step involved. It’s no small challenge, but a double contingency can be done. How to sell my home is a question that many homeowners have been asking. The challenge for a homeowner without hands on experience within the real estate industry is that there are many myths about selling homes, and real estate professionals propagate some of these myths. Chapter 10: How Important Are Photographs? Chapter 17: What is Good Customer Service? The concepts and secrets in this book are relevant in any State in America. If you are selling where you live now in order to retire in Sequim or Port Angeles, this book could be very helpful. You will be able to answer the question, “How to Sell My Home” after reading this book, and you’ll learn what you don’t know about marketing your home, listing your home, and much more. 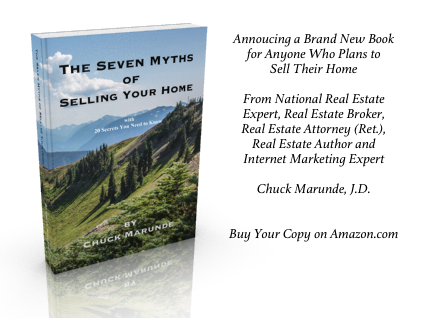 To get a preview of Seven Myths or to purchase a copy, go to Seven Myths of Selling Your Home or to How to Sell My Home. Number 1. Listing with any real estate agent without due diligence on their experience or success (and may I add “integrity”) is not a good strategy. Do you think education, experience, and integrity matter? I’ll let you answer that. The point is that just picking any agent out of the air and hiring that agent is shooting from the hip. Not a good method for getting the most effective counsel you can get to sell your home in challenging times. There are some very experienced agents with integrity. Find one. Number 3. Wasting time on open houses is not a good strategy. Read more about Why Open Houses Don’t Sell Homes. Number 4. Spinning your wheels trying to come up with brilliant new ideas is re-creating the wheel. That’s not a good strategy when experts know precisely what works and doesn’t work and how to effectively market your home. Number 5. Dropping the price when you don’t know what else to do is not a good strategy in and of itself. If your home isn’t being effectively marketed to reach the most qualified buyers, then dropping the price may be a good way to leave money on the table. These approaches are relying on luck. Luck is not a good strategy. Selling your home should involve a great marketing plan based on effective strategies that work. How to bridge the gap from the traditional approach to the new world of marketing. Learn how to interpret this market and what will happen in the coming months. Learn how to price your home to sell (that doesn’t mean keep reducing the price). Find out about the huge gap between buyers and sellers (unknown to sellers). Learn about the importance of social media & other technologies. 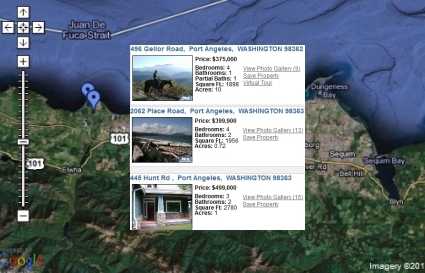 Find out about search engines, SEO and how buyers search for Sequim homes. There will be a Q&A session at the end of this short one hour seminar, so bring your questions. You’re welcome to take notes with a pen and paper, but no recording devices are allowed. This seminar is specifically for homeowners who are not in the real estate business and who do not have a member of the family in the real estate business. Chuck offers a separate seminar for Realtors. The seminar is Wednesday the 8th of August at 6:00 p.m. at the Sequim Library. If you can’t attend this seminar, you can still register for the next one. To attend, please register online at SequimForSale.com. The question on how to price a home for sale in this market is perhaps the preeminent question of the day for sellers. Everyone has an opinion, but not everyone gets it right. I’ve examined thousands of homes that have sold and have not sold. I’ve analyzed original listing prices, various price reductions, the timing of those price reductions, the days on market (DOM), and the final selling prices for those that actually sold. Opinions are often worth what we pay for them. But this question about how to price a home for sale is critical. Get it wrong and you may be stuck with your home for a long long time, and worse, you may actually end up selling it for a lot less than you could have had you priced it right from the beginning. This is not an argument that you should sell your home at a garage sale price. Anyone could do that if they were foolish. This is an argument that there is an intelligent and wise approach on how to price a home for sale. I’ll try to compact this entire article within this one long blog, but for a serious home seller who is grappling with these issues, I strongly urge you to sit down with me so we can have a two hour discussion to unpack these concepts and so I can give you a more detailed proof of these conclusions. The issue is how to price a home for sale so it will sell within a reasonable period of time. There are two keys: 1.) the original listing price must be right, and 2.) the price must be maintained throughout the term of the listing without irrational price reductions. This doesn’t mean you cannot ever have a price reduction, but you should avoid irrational price reductions. Selling your home is not just about selling it within a reasonable period of time, but selling it for the highest possible price. The original listing price should not be too high or too low. There is a true FMV (fair market value), and it’s your Realtor’s job to help you identify that range of value and then how to pinpoint the ideal listing price within that range that will also be a sellable price. Here’s where experience is critical. An inexperienced Realtor can cost you time and a lot of money if he/she doesn’t know how to price a home for sale, but most sellers don’t figure that out until after it already has. Listen to your Realtor (if he or she is experienced and knows how to do this). Don’t tell your Realtor the price you “want,” and don’t demand a certain price. Yes, it’s your home and your money, but far too many homeowners decide what they want or need, and that has nothing to do with FMV or how to price a home for sale. Many homeowners in this market force their Realtors to walk with them for six months or a year before the homeowners finally get educated in the school of hard knocks and begin to “hear” what their Realtor has been politely saying with a soft voice. Price too high in the beginning (because you wrongly think that leaves room to negotiate) and you will a.) miss out on buyers who never look at your home because it is priced just above what they will buy, and b.) pricing too high will turn off a lot of Realtors (they won’t admit this), and your listing will become stale on the market so it just won’t be on Realtors’ radar any more, and c.) end up with a big number of DOM (days on market), and that can actually be a red flag for some buyers. Price a home for sale too high in the beginning, and you can actually end up losing money, because it will be on the market for a long time, and if you chase the market down as many sellers have in these past three years, you will keep having price reductions but always be a day late, and you could have sold it at a higher price in the beginning. Price a home for sale too high in the beginning, and you may lose negotiating power as buyers will notice that you have had multiple price reductions (and buyers often laugh at how ridiculously high the original listing price was), and they will be looking for a steal–at your expense. Identifying the exact listing price is not rocket science, nor is it governed by mathematical precision. Everyone knows that, but there is a psychology of how to price a home for sale within a range of reasonable values. There are price points, also referred to as “break points.” This has more to do with how buyers search for homes online in the MLS than actual appraised values. Price points are more significant at prices below $400,000. As the price moves higher above $400,000, buyers are less inclined to use restrictive search parameters at a maximum price point. This concept is known in economics as the elasticity of demand. For example, if a home is reasonably listed at a true fair market value (FMV) of $1,000,000, buyers will still search from a low of $600,000 or $700,000 to a high that is much more than they can afford to a price of around $1,500,000, knowing all along that they are expecting to find the perfect home around $1,000,000. On the other hand, someone who can afford a home priced around $250,000 will use much more narrow search parameters, such as $175,000 to $275,000. The psychology of pricing (identifying the exact listing price) is a bigger factor in the lower price ranges than in the higher price ranges. If you exceed the upper price range of buyers who are searching for homes like yours simply because you priced high to leave negotiating room, you just lost a potential buyer, and they may never come back. It’s important to know how to price a home for sale so that you do connect with potential buyers from the first day your listing goes on the market. Altos Research, a Mountain View, Calif., company that analyzes data for the real-estate industry, routinely compares initial listing prices around the country with final sales prices. “Sellers generally start out with prices a bit too high, forcing them to later offer discounts to get a deal done,” said Scott Sambucci, Altos’ Vice President of Sales and Analytics. Every homeowner should have their listing agent explain how to price a home for sale. We know home sellers are frustrated because their homes are not selling, because there are so few buyers right now. We know many sellers have reduced their listing price once, twice, and sometimes several times. And yet many homes remain unsold. It’s as though buyers are just not showing up, which they aren’t. None of this is front page news anymore. We read everyday in the newspapers what sellers are going through: the stress, the financial strain, the uncertainty, and for some a foreclosure if the home doesn’t sell fast. But what is it like for Realtors? If you read my blog often, you know that I like to tell my readers the truth. Of course, what I write is colored by my limited knowledge and experiences, just like everyone else. But my readers constantly express their appreciation for my open writing, honest expressions of the challenges home sellers and home buyers face, and for insights they often do not get from others. By the way, I do get some heat periodically from other real estate agents in the area and from newspaper publishers, so I must be doing something right. After all, I’m not writing here to make other professionals like me. I hope they do. I’m a sensitive person. I do write to help my clients and to help others who are buying and selling real estate. That would be you. The question today is what is it like from a real estate agent’s perspective to have many listings in this market?